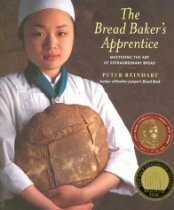 It’s been a month since I last posted a BBA Challenge bread, a deliberate decision on my part. Our air conditioning was out for 29 days and since the kitchen is the hottest room in our house even with functioning air conditioning, I just couldn’t bring myself to turn on the oven and add to the heat. In the winter I bake all the time and it helps keep the house warm, but we didn’t need that in the heat of summer without any air conditioning for relief. The next bread for me to tackle in the challenge was the brioche, a decadent bread with plenty of eggs and butter and a rich flavor. Of the three options—Rich Man’s, Middle-Class, or Poor Man’s brioche—I chose the Middle-Class version, which has less butter than the ultra buttery Rich Man’s version. Because I don’t have a brioche pan I made dinner rolls in a muffin tin, though they looked more like muffins. 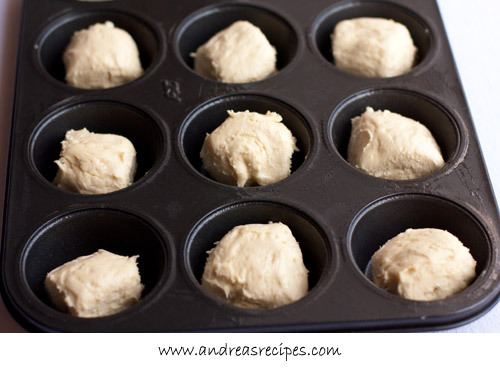 Making cloverleaf rolls with the dough would also work well in a muffin pan. So beautiful looking. Great job. They look amazing! I made the rich version but I really think I would prefer this one. That last photo makes me want to take a bite right now!! Ugh – I don’t blame you for passing on the challenge while your AC was out! I love how you turned this Brioche into muffins. Yum! Those look so good! Very well done! 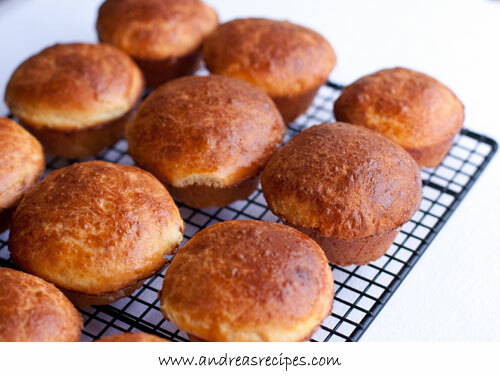 My whole family (including me) loves brioche and these look fantastic! Great idea to bake it in muffin tins. Your brioche is beautiful. We have been blessed with some very livable weather here lately, and cool nights – thank goodness. Holy cow. Those are perfect! Hi! Saw your twitter…had to come and see! 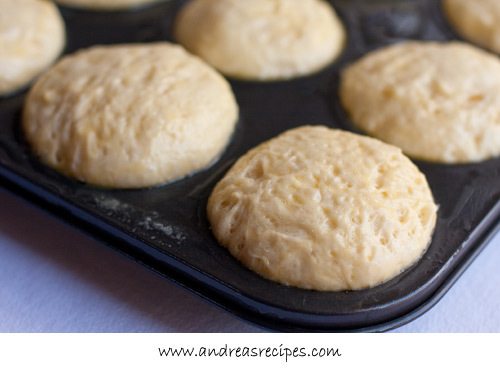 Lovely brioche…I don’t have a pan either, so thanks for the muffin tin idea. 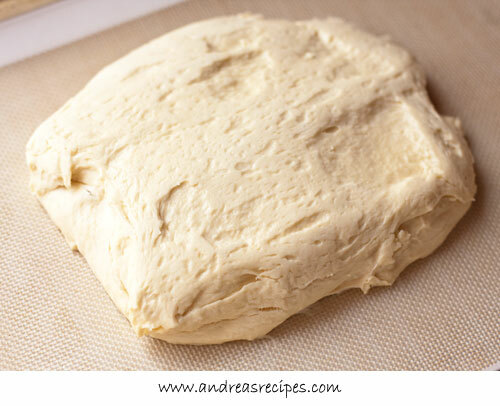 I started the BBA challenge with ciabatta and am working forwards and backwards to catch up! 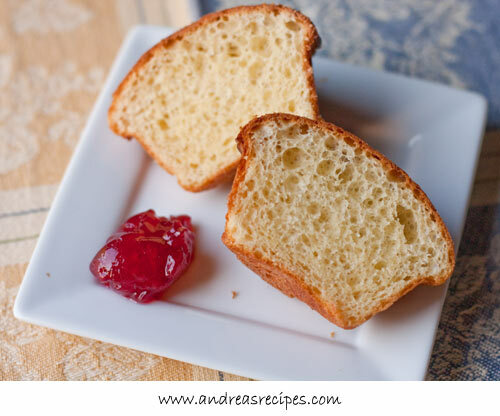 Your brioche looks gorgeous…and what a beautiful blog you have!